This communication is intended for the named recipient only. It may contain confidential information. If you are not the intended recipient you must not read, use or disseminate this information. If received in error please tell us immediately by sending an e-mail to manager@propertyauctions.co.uk and giving the names of the sender and intended recipient, and then please delete it from your system. Alternatively please return the email (and any attachments) to the sender using the heading ‘received in error’. Please then delete the email from your system. Although this communication and any attachments are believed to be free of any virus, or other defect that might affect any computer or IT system onto which it is received and opened, it is the responsibility of the recipient to ensure that it is virus free and no responsibility is accepted by Propertyauctions.com for any loss or damage arising from its use. We will not accept service of documents by email. No contract may be concluded on behalf of Propertyauctions.com by email. The sending or receiving of personal emails by our staff is not authorised. 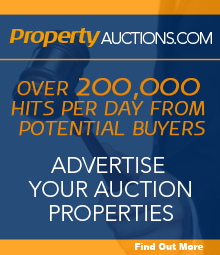 "Propertyauctions.com" is a trading name of Property Auctions.com Limited a company registered in England and Wales, registered number 04125005, whose registered office is at 15 Fosters Avenue, Beeston, Nottingham, NG9 1AE and the sender accepts no personal liability in respect of its contents.